The Maltese is a tiny breed in the toy group. I have yet to have met a “mean” Maltese. They are extremely docile, sweet dogs. They do not have a temper but are content about anything as long as they have human companionship. They live for people and are happy to be around them! Being small, they are happy in a city or suburban setting. The Maltese is a fragile dog and does not like to be too hot or too cold! A great family pet but has to be watched around young children because its bone structure is very fragile and can be physically hurt by dropping the animal. They have a long single coat that requires a tremendous amount of grooming to allow it to look its best. In the real world, the majority of Maltese that I have worked on are shaved in the late spring with the hair growing out over the summer and into fall. The dogs with the long coat to the ground are usually show dogs and they are gorgeous to look at. In the dog world, the female animal is usually more docile than the male but with the Maltese, both sexes are gentle and friendly. From a medical perspective, they do require attention. Like most toy breeds that are white, the majority develop a rusting of the hairs below the eyes. This is called Poodle EpihoraPoodle epiphora is an unknown cause of tear staining seen in little white dogs such as poodles and maltese that leads to a rust colored staining of the hairs below the lower eyelid. It is not an illness and does not harm the dog.. You can try to wipe the eyes frequently. To combat this condition try Angels’ Eyes®. They are small boned dogs and prone to fractures or knee injuries if dropped. 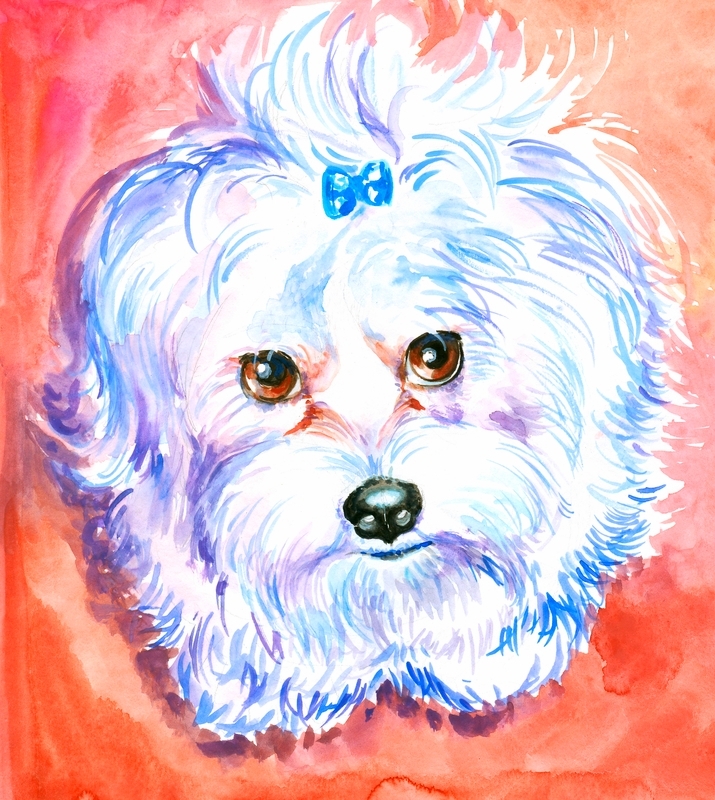 Maltese often have a double row of upper and or lower incisors. One row has to be extracted otherwise dental problems will worsen. Maltese have to have dental cleanings done at least once a year. As they get older many of them develop mitral valve heart disease which often leads to congestive heart failure. This breed is very common in the U.S. and for a good reason. You will see many owners today carry their Maltese around in a soft bag or in a stroller fit for a child! They are gentle, loving dogs that have so much to offer! Learn more about the Maltese at Animal Planet’s Dog Breed Selector.